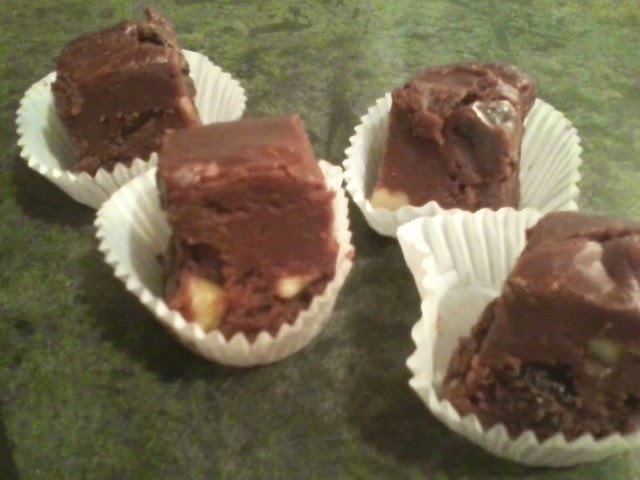 Recipe #42: Absolutely the Most Wonderful Rum Raisin Walnut Fudge...or, Plain Fudge...Absolutely!!! 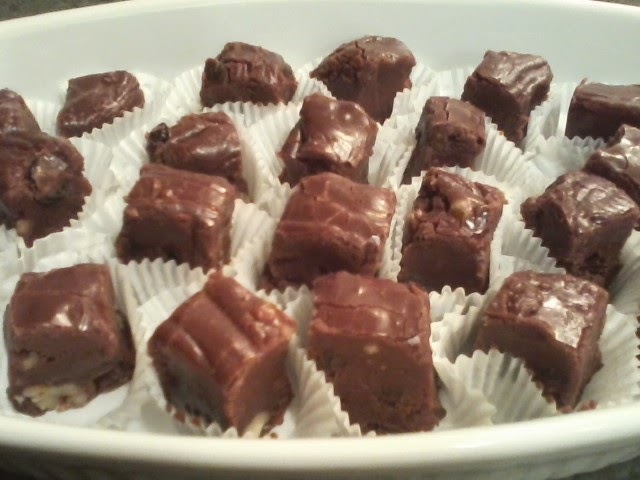 Now, this recipe is for rum raisin walnut fudge, but you can go many ways...made with vanilla instead of rum extract, without the raisins, without the nuts. I can't say enough about this recipe....it doesn't require a candy thermometer, you don't have to use a spatula to get all the marshmallow fluff out of the jar, because there IS no marshmallow fluff...it is foolproof and comes out perfect every time...yes, every time. It's not grainy...it's super creamy. And it makes 5 pounds, half for you to eat right away (lol), half to freeze (yes, it freezes wrapped in double foil for a number of months), or I cut up 3" squares, wrap in foil and tie with ribbon to give as gifts. You must try this recipe. You will thank me the rest of your life. *You can use chocolate chips (I use Nestle's) or you can use a combination of dark, milk, etc., as long as it's good chocolate, and as long as it equals 26 oz. Also, before you start, have the chocolate ready to go, the nuts chopped, the raisins in a bowl, the marshmallows opened, the extract nearby, your 9x13 pan foiled, greased and ready to go. Stir together in a large dutch oven, over moderate heat, the butter, evaporated (remember, evaporated, NOT sweetened condensed) milk and the sugar. I use a big wooden cooking spoon with a hole in it (see below). Bring to a boil. 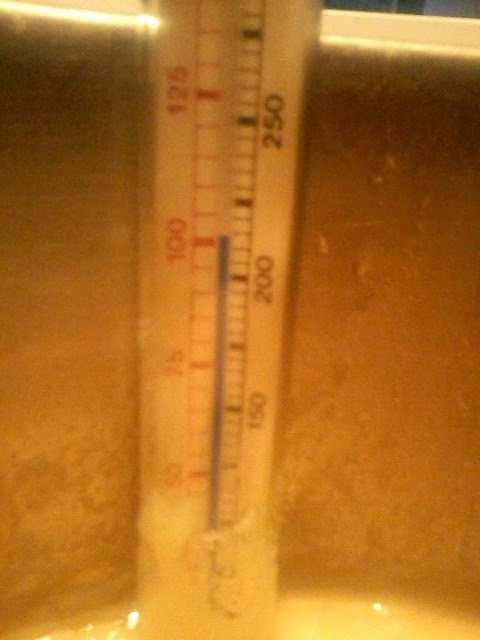 Turn down heat to medium low, almost low...the mixture should still be boiling. Cover and boil for 5 minutes, (make sure to set a timer), then turn off heat. 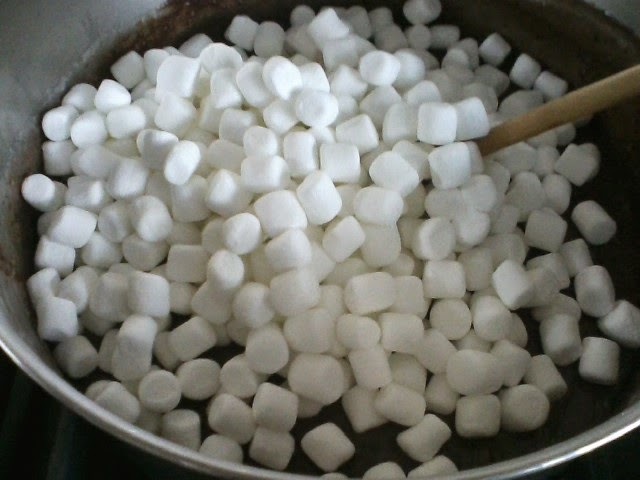 Add marshmallows and stir until they are all melted. 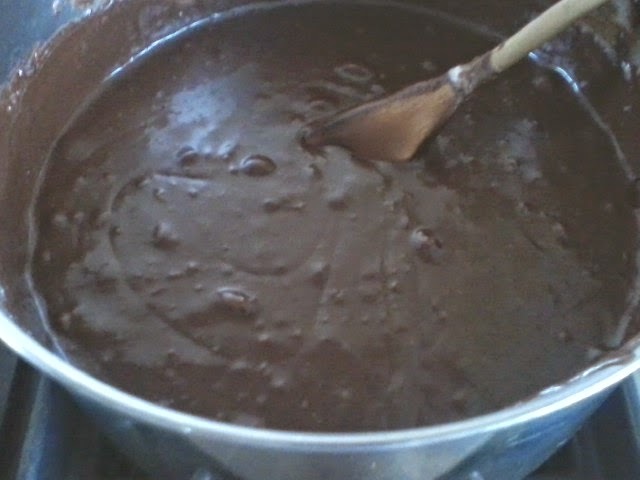 Add the chocolate, stirring until melted as well. At this point, you will add the rum extract or vanilla, raisins and nuts. Stir until combined. Pour into a 9x13 pan, lined with tin foil (long enough to hold when you take out of the pan), and sprayed with cooking oil. 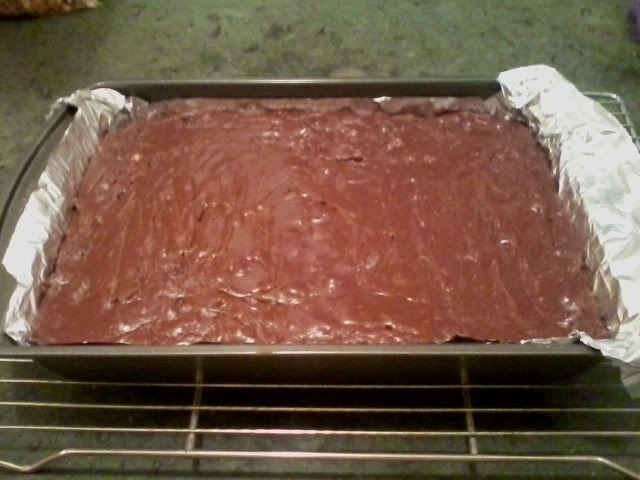 The fudge will start to set rather quickly, so get it out of the pan, even it out, and let it sit while it cools. Yes, you can eat what's left in the pan or on the spatula...just be careful, cause sometimes it's still pretty hot. 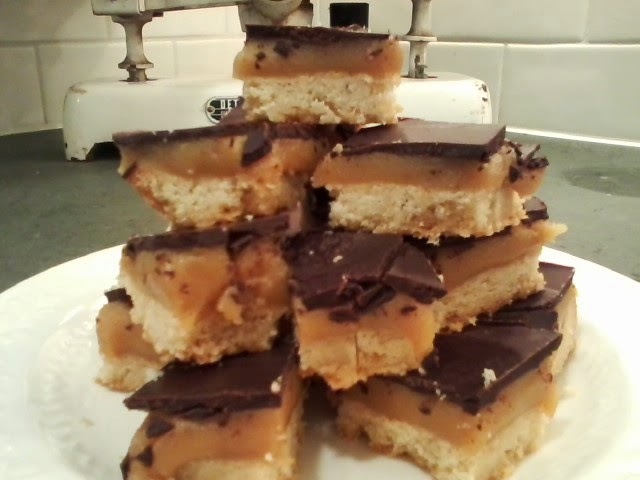 When cooled, lift it out of the pan, and cut into squares. Bon appetit! There were a lot of Christmas Eve's that my dad would make dinner. The menu included his salad with his homemade dressing, shrimp cocktail, twice baked potatoes and filet mignon broiled with a large mushroom cap on top. It was quite a treat. Many years my family got our Christmas tree from Goldblatt's department store in Niles. They had an outdoor area filled with live trees, and when you walked in, it smelled like heaven. My mom had a dear friend, Clark, who owned Clark's Florist and Gifts. It was on the north side of Chicago, and let me tell you, it was the most elegant florist/gift shop. It wasn't just a florist, and it wasn't just a gift shop...it was sublime! To walk through was like walking through an upscale interior-designed indoor garden. Mr. Clark, as we kids called him, had quite the knack for design and décor. Even though this was back in the 60's, I STILL remember how absolutely lovely everything was...his taste was exquisite. Mr. Clark had a standard apricot poodle, named Angelique, and she wore a rhinestone-studded collar..she was a love. Since my mom was also a floral arranger, they had a good friendship. Every Christmas Mr. Clark had a holiday open house, and you had to be invited, and yes, we were. I remember getting all dressed up...well, it was just the highlight of the season. There were hors d'oeuvres, gifts...gosh, it was grand, opulent, chic...just over the top. When a place is as beautiful as his shop was, the memories don't leave you, even after 50 years. My parents would take us downtown at night right before Christmas, and there was only one store we went to...Marshall Field's. Their windows were decorated to the hilt, with moving people, animals, you name it. We would walk window to window to view the different scenes in each. It was quite a treat, and we would stand there, just mesmerized. There were many shows we watched on TV during the holiday season. Andy Williams, Perry Como, Mitch Miller, Mr. Magoo's Christmas, Lawrence Welk...now I'm really dating myself. Back in the day, there was only one kind of Christmas light to put on the tree...the colored bulb kind, most everyone decorated with tinsel, and if you had a fake tree, it was aluminum that was silver, and there was a colored dial that would light the tree blue, pink, green and back to silver. Do any of you remember this? There were train sets and etch-a-sketch and candyland. Now there's ipods, flat screen TV's and blue tooth...where did the time go? So, what can be wrong with this triple-play combination? Nothing, of course. You will need a candy thermometer for making the caramel, which couldn't be easier. I'm sure, though, I lost some of you when I mentioned those two words, "candy thermometer". 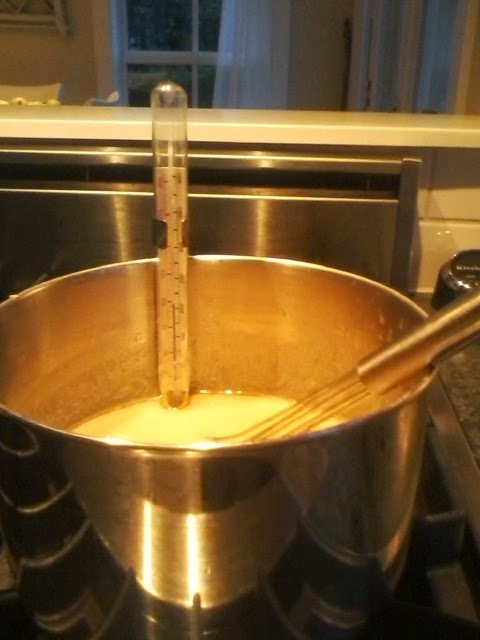 They aren't that expensive, and again, making the caramel isn't hard, just tedious as you watch the thermometer slowly creep upwards to that 238 degree. See if any one of your neighbors has a candy thermometer and borrow theirs. 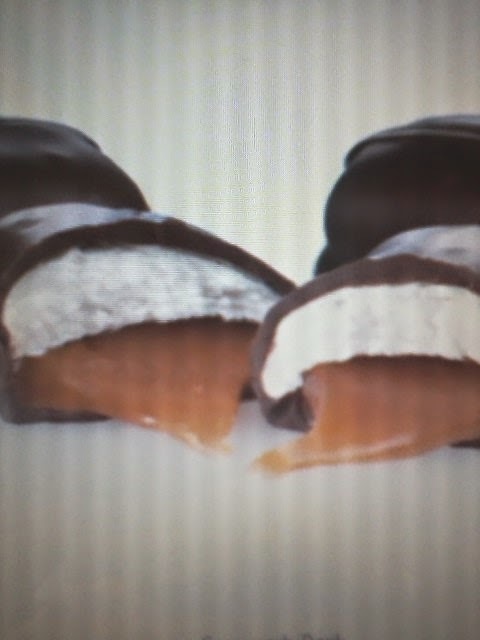 You won't believe how soft the caramel is, it is just heavenly, as you can see by the pictures below. Cream together butter, salt and sugar. Gradually add flour and baking powder, beating well after each addition. Pat into a 9x13 pan. I use a piece of plastic wrap wrapped over my fingers sprayed often with a little cooking spray to make this easier...see below. Bake for 15-20 minutes at 350, or until light brown. Cool. 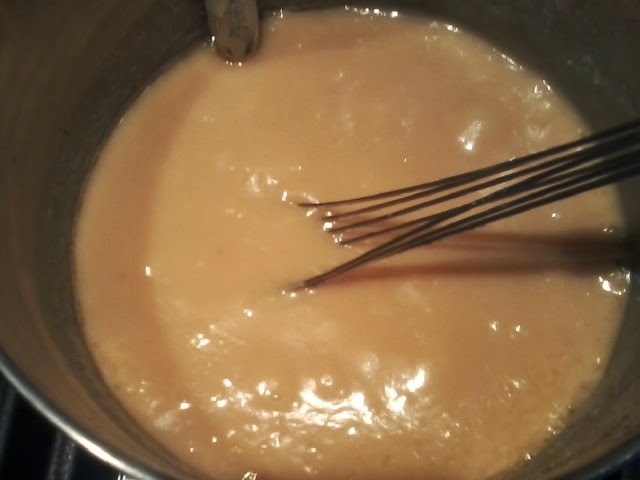 To prepare caramel...melt butter, brown sugar, corn syrup and milk in saucepan. Bring to a boil and stir constantly for about 8 minutes, or until you reach 238 degrees on a candy thermometer. Pour onto the first layer and cool. 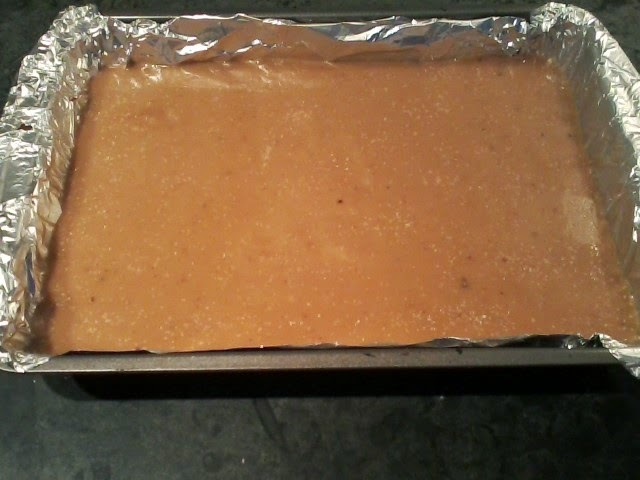 You will be tempted to eat this caramel right out of the pan, but you don't want to for 2 reasons. 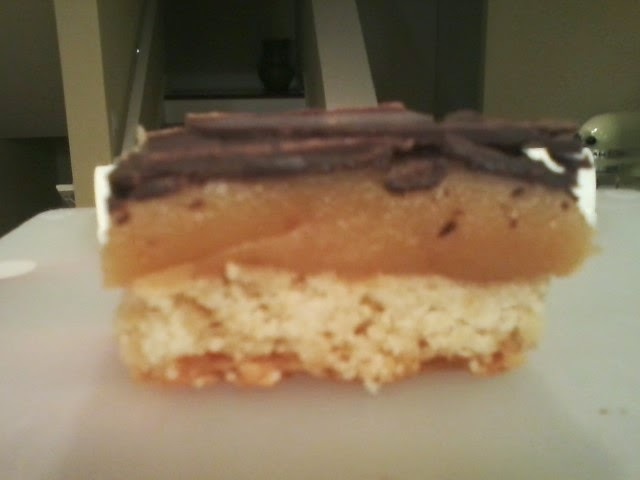 First, you will burn your tongue royally, and second, you won't have anything left to spread on the shortbread. 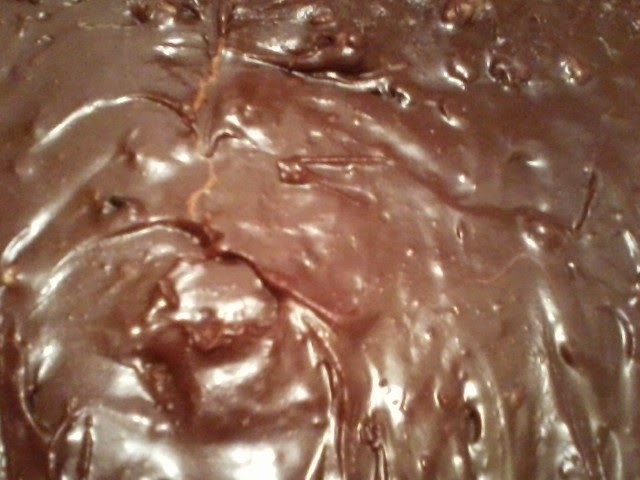 For the third layer...melt chocolate in a saute pan or small saucepan and immediately pour over caramel. I then spread evenly with an offset spatula. Sprinkle top of chocolate with salt. 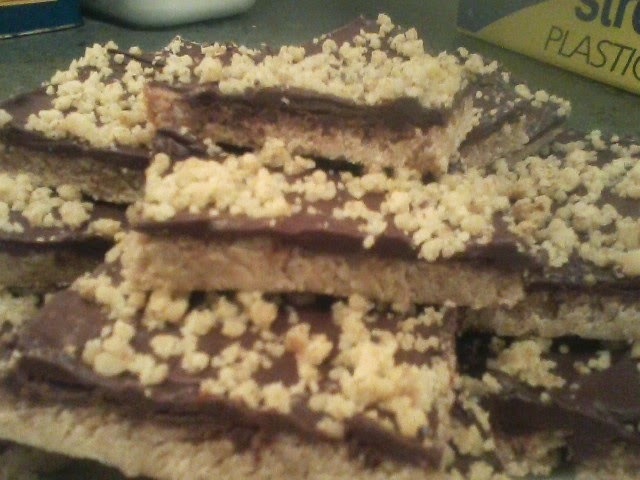 At this point, you may want to cut through the cookies into squares, or let the whole thing cool before cutting. 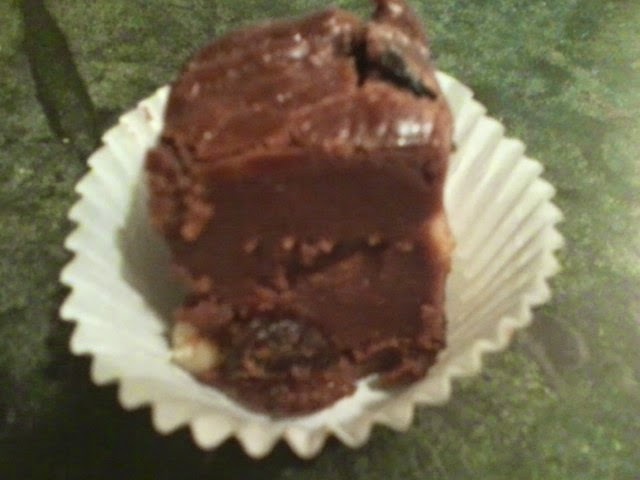 This will present some cracked chocolate, but it will not come off the cookie. Bon appetit! kept this half without sea salt...bet you could eat one right now!!! I have stated before that I am not much of a soup person, but when I do have it, I like my soup nice and thick. That said, a great onion soup with a piece of baguette and some gruyere melted on top could ace that out. It's not often that I have a ham bone lying around the kitchen...perhaps at Easter, but sometimes not even then. And, some of you may not want ham in this soup, but I have solutions for all. Also, this soup usually has no potato, but if it does, it's more often than not chopped up red skin potatoes. Personally, I love sweet potatoes, so that makes this a whole new ballgame. 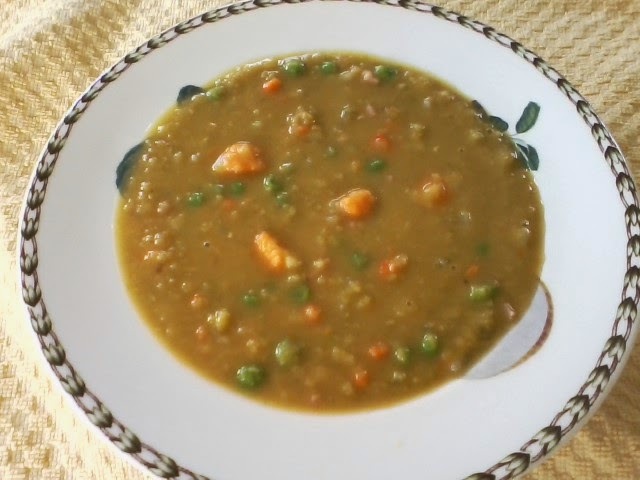 Even further, I had some fresh frozen peas in the freezer, not really enough to make anything with, so added them at the end. I really like the bite they give, as well as the bright color. If using ham bone or ham hock, place in large stockpot with the water, split peas and chicken stock. With heat on medium-high continue to cook for 30 minutes, or until boiling. In the meantime, saute the onion with the butter until just starting to color, about 10 minutes. Reduce heat on the soup to medium-low and add onions, celery, carrot and sweet potato. Continue to cook until tender, about another 45 minutes. At this point you want to take the ham bone or hock out and place on a plate to cool. 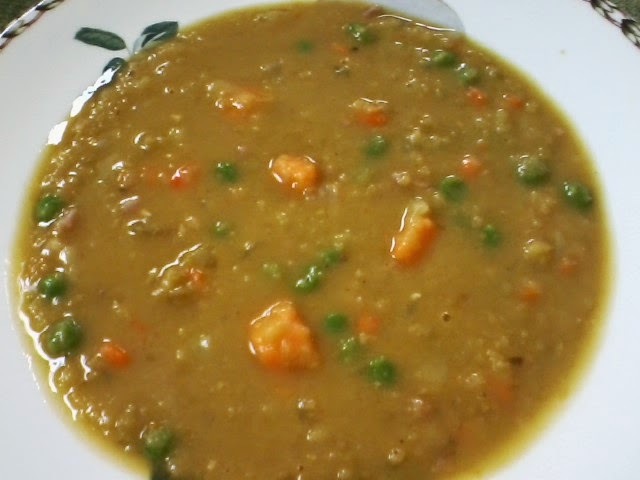 You should also see the split peas starting to break down and thicken the soup. Take any meat from bone or hock and place back into soup. If you are not using either, but using the Canadian bacon, put in at this point and stir. If you aren't using any meat, just follow directions, disregarding the meat portions. Salt and pepper to taste. I do not put any of this soup in my Nutribullet as it thickens naturally. Bon appetit! This recipe was from a cookbook in my mom's kitchen from 1964, called "Our Best Cooky Recipes" by Martha Logan, Home Economist. THIS IS MY GO-TO COOKIE when I need an easy cookie, a lot of cookies and one that has chocolate in it. I can't count the number of times I have made these. Before I moved to this house, my neighbors next door included triplets...Devlin, Lauren and Kaysan. They absolutely loved the raw dough. 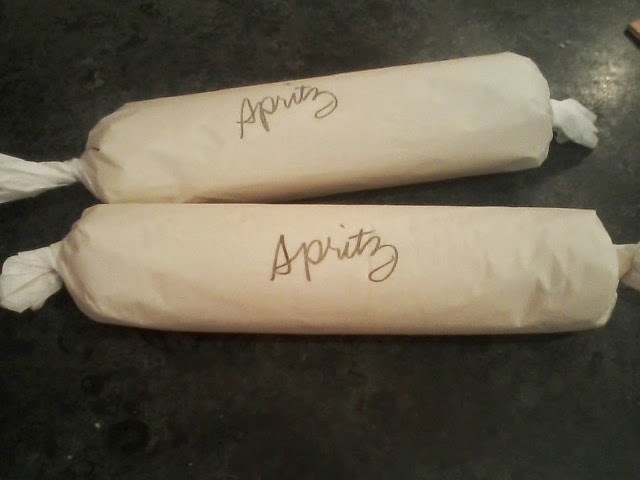 So, on some of their birthdays, this year being the most recent, I made a double batch of dough, without the eggs, divided it into 3 logs, wrapped in parchment paper, and put their names on each one. They said it was one of the best birthday gifts they got that day...no joke! Cream butter, salt and sugar. Add egg and vanilla. Mix well. Add flour and combine. 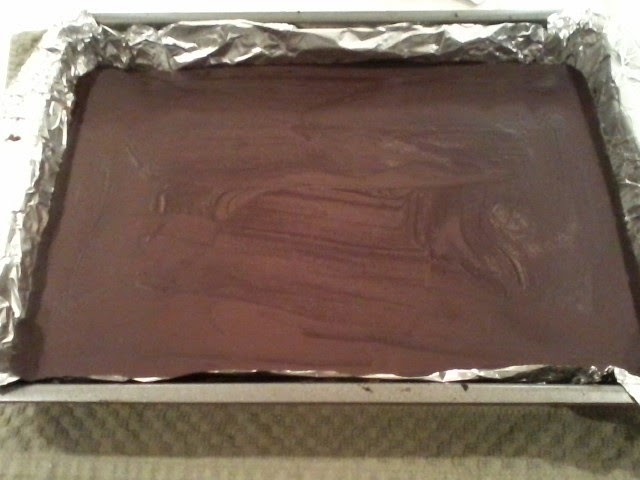 Spread 1/4" thick over an area of 10x15, which is usually a jellyroll pan. Bake at 350 for 15-17 minutes, or until the edges start turning a dark brown. The longer you bake this, the crispier the cookies will be. Take the cookies out of the oven and turn oven off. Sprinkle chips over cookies and put back in the oven for 5 minutes. Take out and spread melted chips over cookies with an offset spatula. Then sprinkle the nuts over all. Also, at this point, I cut the cookies, so when they cool, you can just score again and it will be easier to get them out of the pan. 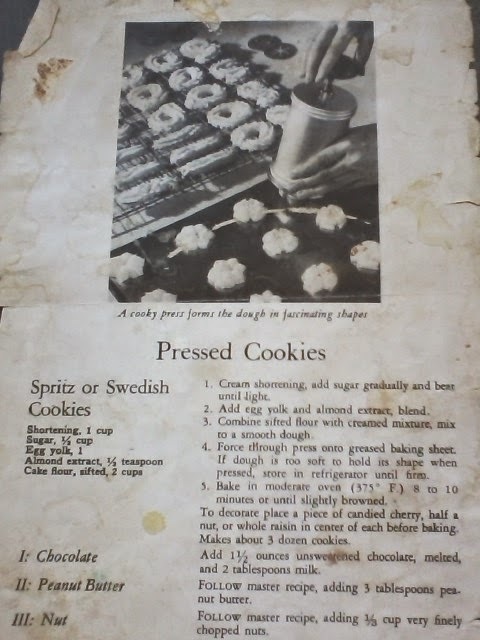 When I wrote the article about Chris Kimball, Martha Stewart and Ina Garten, I mentioned my grandmother's spritz cookie recipe. This is, bar none, the best spritz cookie you will ever make. Now, that said, if you've been making spritz cookies your way for a number of years, you may not agree. But, there are two things which makes this recipe different from any I have seen...instead of a whole egg, it takes an egg yolk (this I've seen in some recipes) and the flour used is not all-purpose, but cake flour, which produces a more tender cookie. My mom also had a great cookie press...it wasn't narrow like the ones they make today. My kingdom for having the opportunity to take so much more stuff from our kitchen back in Niles when my mom died. If you look at ebay, you will see what I'm talking about...the old Mirro cookie presses. You could just pile the dough in, instead of having to roll it into a log and fitting it into a tube. So, unless I invest in another one, I now just roll the dough into a log on parchment paper, refrigerate or freeze, cut them into slices like refrigerator cookies, then decorate. I have done this a couple of times in the past years when visiting my brother's family. He calls them "spritzer's". I would make up a double batch, bake one, and surprise him by putting the other one in the freezer, ready to go. The batch I made for the blog I used a cookie cutter, (see below). I hope you do try this recipe, even if you just drop them by teaspoonfuls onto a cookie sheet (although they may be a little underdone in the middle). Cream butter. Add sugar and salt and beat until light. Add egg yolk and almond extract. Blend. Combine flour with creamed mixture and mix to a smooth dough. 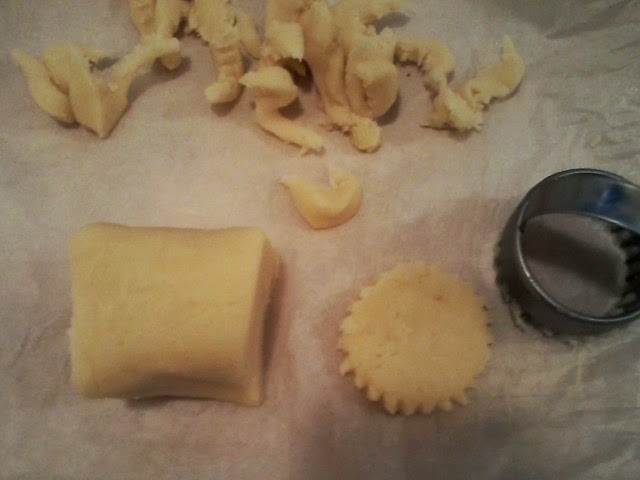 Press through a cookie press, or roll into a log on parchment paper and refrigerate or freeze until use, (see below). Bake at 375 for 8-10 minutes. For a chocolate dough, add 1 tbsp cocoa and mix thoroughly. 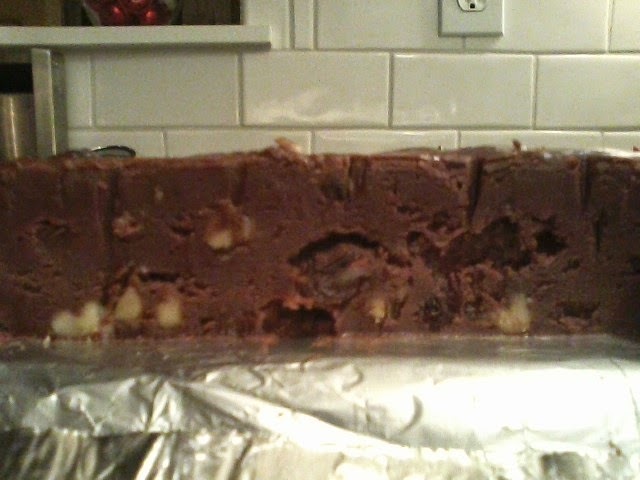 My mom would take half the dough out, then mix the cocoa into the other half of the dough. Bon appetit! This dough is extremely versatile, and is a basic shortbread dough...no eggs. I will be posting two other cookie recipes using this same dough. These cookies look lovely before going into the oven, and even lovelier after taking them out of the oven. 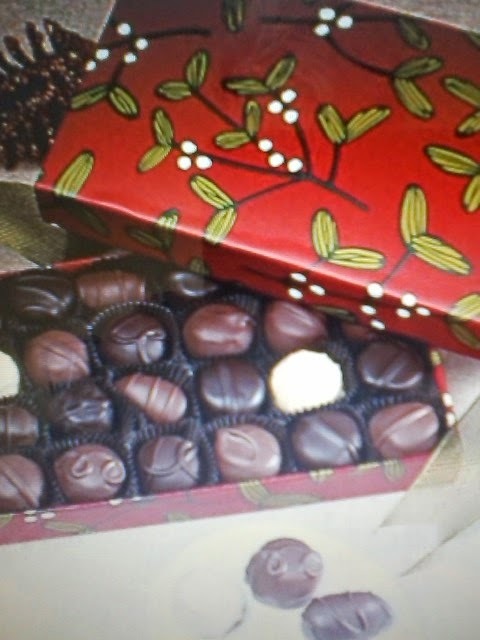 I make these for my Boehm's family every year...it's their favorite. If you're not a lover of coconut, you can roll these cookies in any finely chopped nut, or even sugar. I do remember about 5 years ago, I added half the amount of flour the recipe called for...very buttery and flat as a pancake, but still good. In a mixer bowl, cream together the butter, sugar and salt until blended, about 2 minutes. Add vanilla, then incorporate flour, about 1/2 cup at a time. Empty mixer and put dough on counter. I usually divide in 2 and put each on a piece of plastic wrap. Close the wrap loosely, then flatten with the palm of your hand into a disc. Refrigerate for at least an hour, or place in freezer Ziploc and put in freezer for future use. Roll dough into about 1 1/4" balls...I have an old postal scale I put each one on...actually, I do this more to see how close I am in weight...each should weigh about 1 oz. Then I usually proceed this way. I put all of the balls on one half of a parchment-lined cookie sheet, then have the egg wash next to that, then have the coconut in a medium bowl. 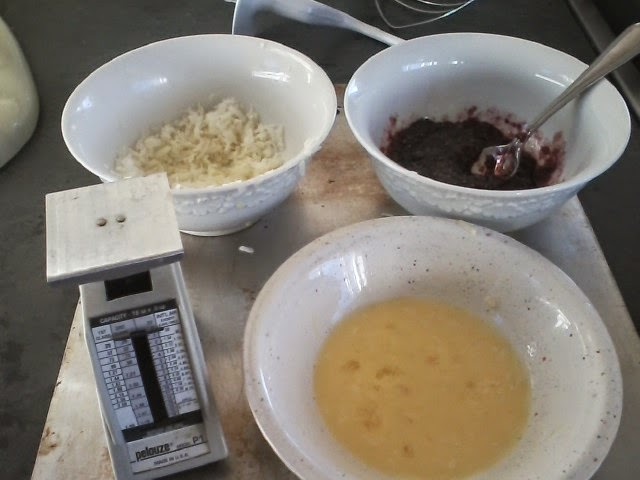 The raspberry preserves are in a small bowl that I have stirred a few times with a fork just to loosen up and are on standby next to the coconut. 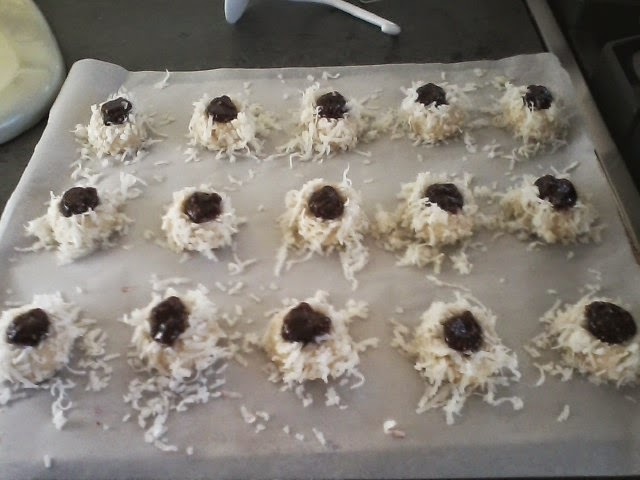 Dip each ball into the egg wash and then roll in the coconut, lightly pressing onto the dough to adhere better, then place on the other half of the cookie sheet. Proceed with all of the dough. 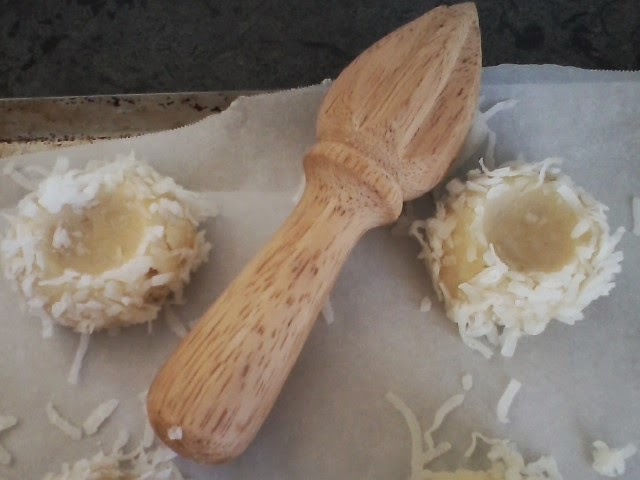 This is where my wooden lemon reamer comes in handy, for I use the bottom of the handle to make a round indentation in each cookie, and it's the perfect size, (see below). You could also use a melon baller if you have one; otherwise, just use your finger, and if the dough is somewhat soft, dip your finger lightly in flour then press a round indentation. 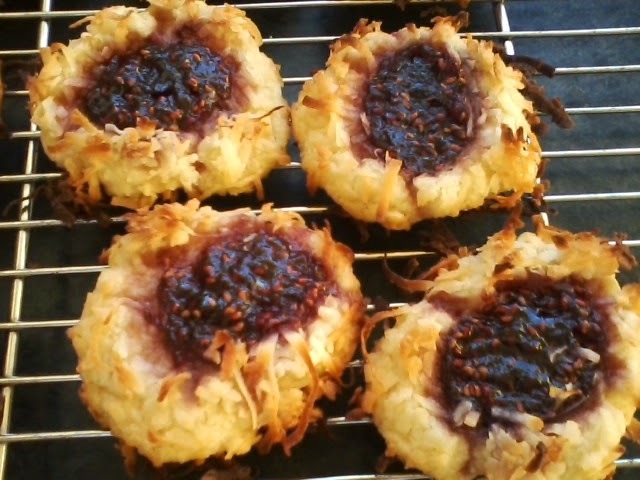 Drop a spoonful of jam into each indentation, then I take the coconut that has fallen off and press lightly onto each cookie. 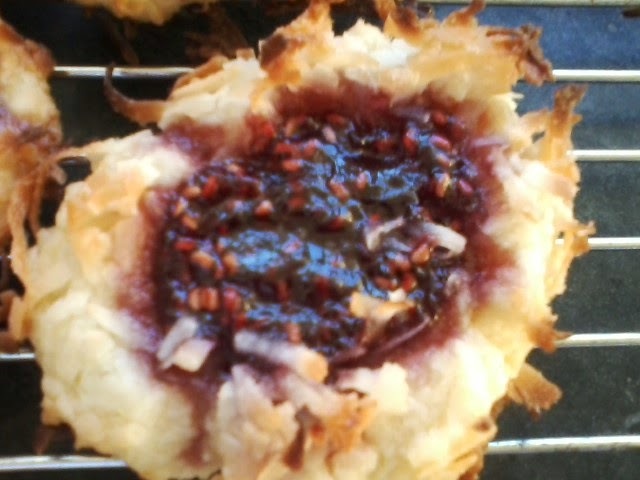 Bake for 20-25 minutes, until the coconut starts to turn brown. You need to keep an eye out at about the 20 minute mark so that the coconut doesn't burn. Place on a cooling rack. Bon appetit! I think pork is my second love, only to lose out to a good grilled steak. I love ham, I love bacon, I love pork roast, I love pork chops. There is very little prep work in this dish, as well as few ingredients, which I know sells a lot of people on a recipe. 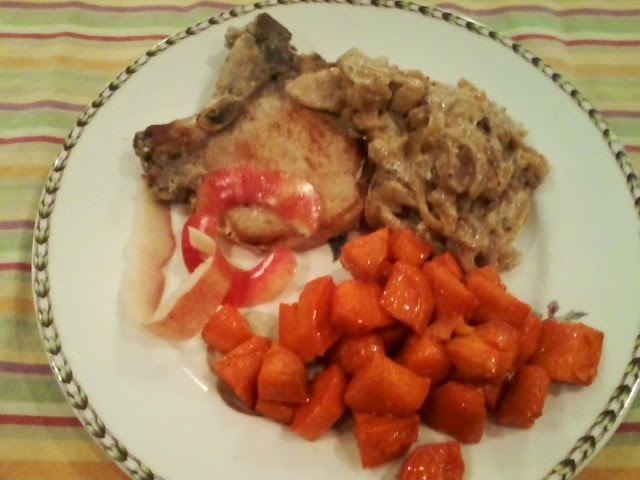 I just made this again the other night, and know if you like pork chops as much as I do, you will certainly enjoy this dish. 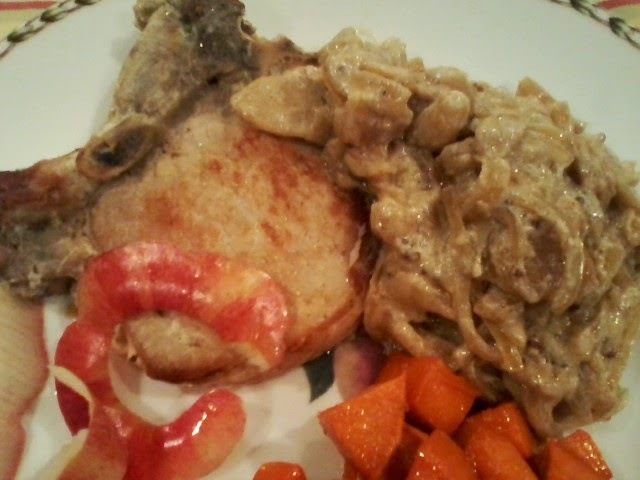 It can be made with bone-in or boneless chops. I also roasted some yams in a butter and maple syrup combination, which is shown below. Remember...pure maple syrup. Preheat oven to 400 degrees. Lightly butter a 9x13 baking dish. Spread the onions and apples in prepared baking dish and bake for 15 minutes. In a large pan, saute the chops in butter over medium heat until lightly browned on each side--about 7 minutes per side. Season with salt, pepper and garlic powder on each side. Remove and arrange in baking dish over the apples and onions. Deglaze the pan with the white wine, reducing by half, scraping up the brown bits, then drizzle over the chops. Bake about 45 minutes, or until the chops are tender. Combine the sour cream/milk mixture with the mustard in a bowl. Pour over the chops and apples. Bake another 15 minutes. Bon appetit! 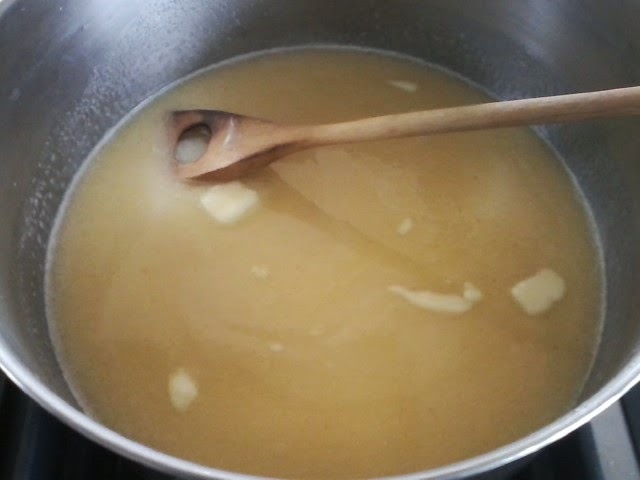 In a small saucepan, melt butter, then add maple syrup and whisk together. 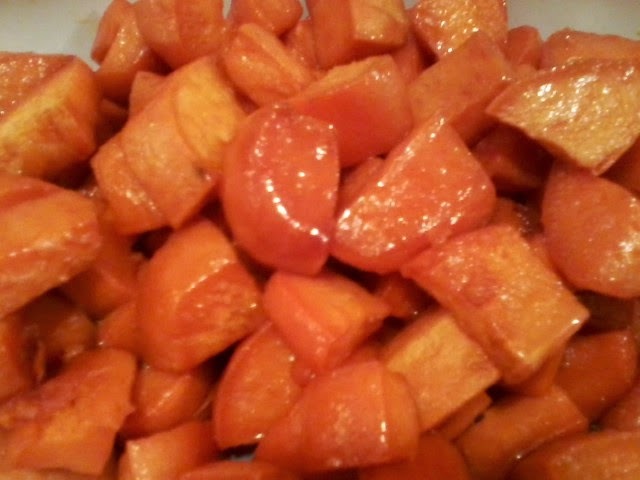 Put yams into bowl and pour the butter mixture over. 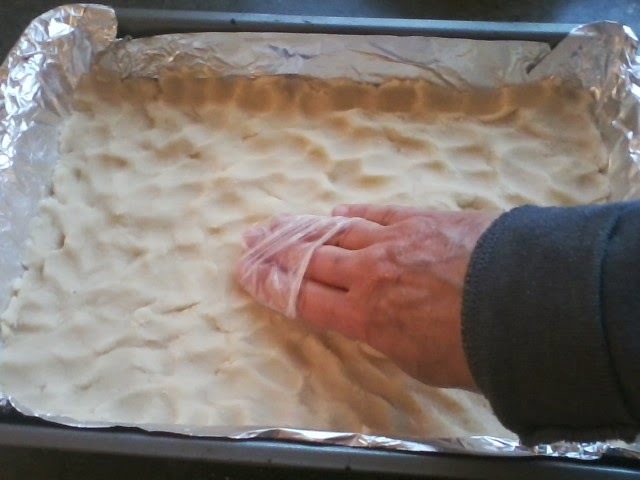 Toss and coat with a spoon, then spread onto a foil-lined baking sheet with sides. Bake in oven when you put the apples and onions in. If baking when not doing the chop recipe, bake for 15 minutes at 400, use a pancake turner to flip the potatoes over, and cook another 10-20 minutes, until potatoes start to carmelize. 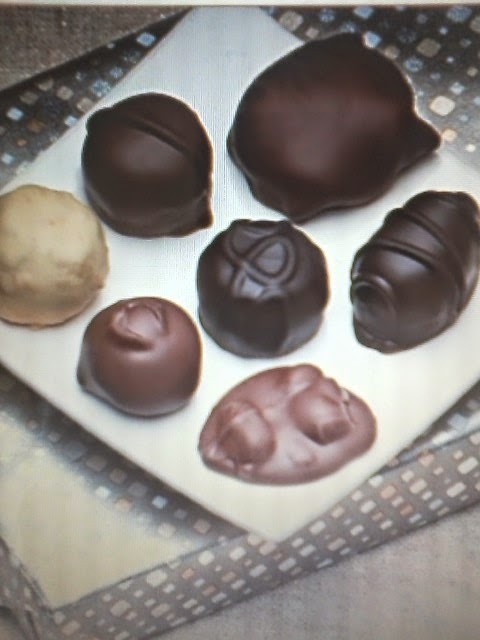 Take it from the top clockwise...turtle, dark strawberry cream, light peanut cluster, light chocolate covered cherry, trinidad, dark buttercream and in the center, dark chocolate chocolate buttercream...I still know my stuff!!!!!!!!!!!!!!!! 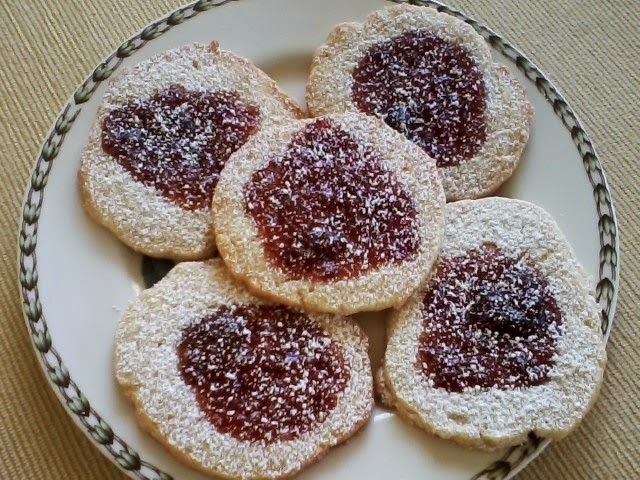 There are dozens of recipes for this Czech-originated cookie. 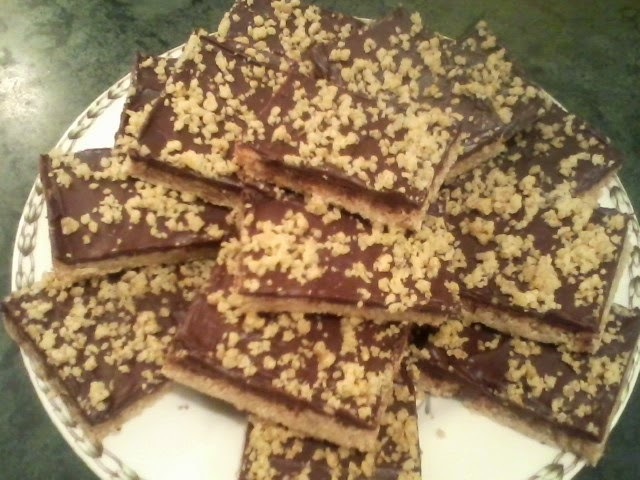 All I know is that this particular recipe came from my grandmother. 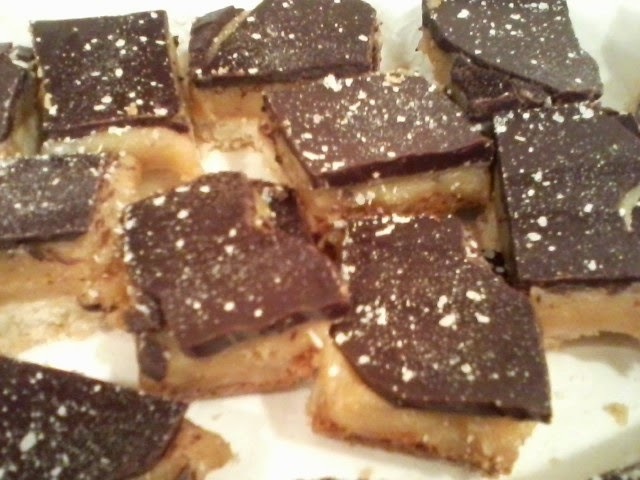 When I was young, my mom would make these for dessert at home dinner parties during the holiday. She would use apricot and prune filling for the centers, but you can use poppyseed, lemon...just about anything, as long as the filling is not thin. 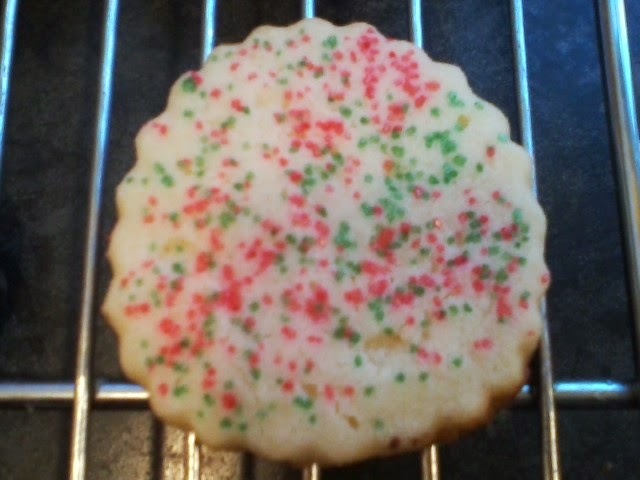 A thin filling will spread over the cookie, and it will taste great, but not look so nice. Two things about this recipe...it takes no eggs, and if you like to nibble on raw dough like I do, this is "not" one of my favorites. But, the end result is something you can get addicted to. Sift flour, sugar, baking powder and salt in a medium bowl. Cream butter and cream cheese in a mixer until fluffy. Add flour mixture gradually until all is incorporated into the dough. At this point, I split the dough in half and place each half on a sheet of parchment paper. 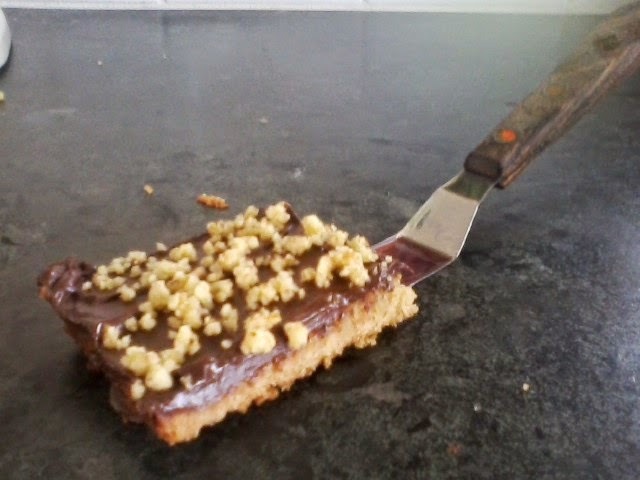 I try to spread it into a log shape with a rubber spatula, though I know this is not an easy task. Just do the best you can. Then roll into a log shape within the parchment paper. There are two tricks I use to make this easier. Once you do two rolls with the parchment, use a 12" ruler and force it lengthwise against the roll. This will compact the dough. Continue to roll and repeat a couple of times. Sometimes I will even unroll the dough a little and start using the ruler again. 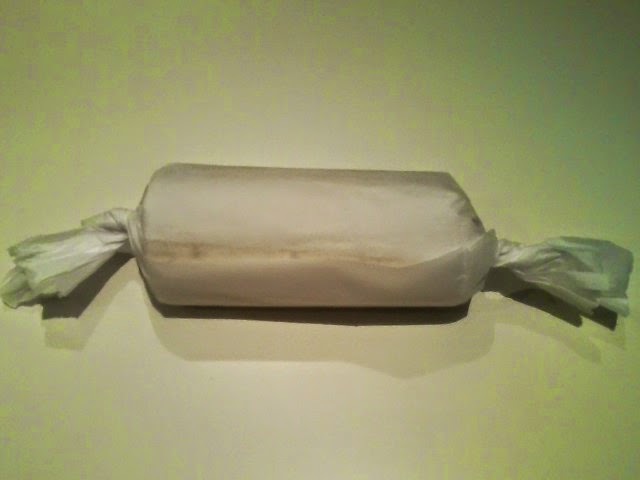 The other trick is after you have rolled the parchment to the end of the paper, twist one end, then the other. This will automatically tighten the dough and provide a more tubular shape (picture below). Refrigerate dough for a few hours, until firm. Cut into slices a little more than 1/4". Place on parchment lined baking sheet. 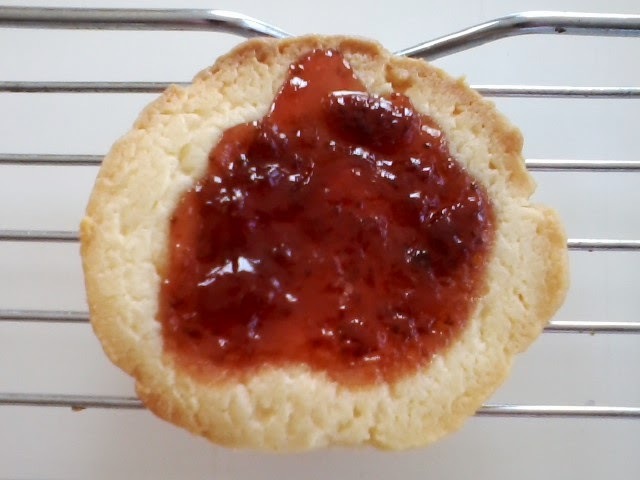 Now you need to make an indentation in the center of each cookie. What works well is either a melon baller, the bottom of a wooden lemon reamer or your thumb dipped in flour for each cookie...something with a round shape. Fill with a spoonful of filling. Bake 10-15 minutes at 350 or just until the edges start to brown. 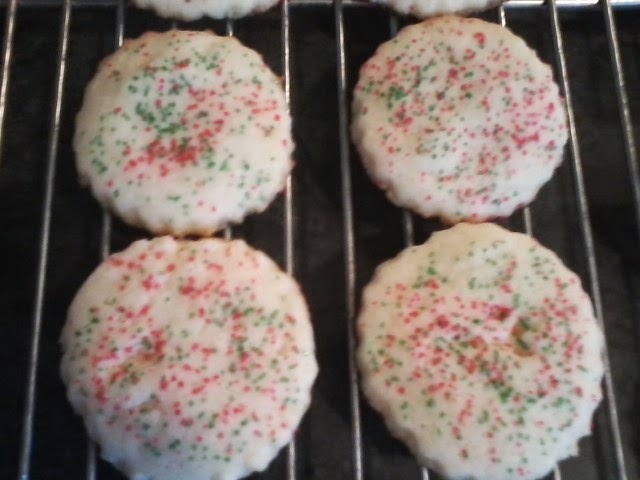 Cool on a rack and dust with confectioners sugar. Bon appetit!